Home Bitcoin News Death of Ethereum. What’s next? Death of Ethereum. What’s next? The growth of the Ethereum cryptocurrency that happened during the hype of blockchain in 2017, was largely due to activity of 83% of ICOs, accumulating funds in the cryptocurrency and using the blockchain platform. At the moment, we are seeing a decline in the wave of ICO startups, selling their tokens and switching to fiat or BTC by selling Ethereum at any price to cover spending costs or to reorient the company from crowdfunding to classic venture financing. The general negative news is not pleasing either. Head of BitMex Arthur Hayes predicts that the this top second cryptocurrency will fall to a price of $100 or less, calling Ethereum “shitcoin”. Jeremy Rubin, co-founder of the Bitcoin Core and Stellar, claims that Ethereum will fall to nearly zero. The fire was also fueled from comments by the founder of Ethereum Vitalik Buterin, who expressed the opinion that thousands of Xs are not to be waited for. The long-awaited transition to PoS with the risk of network centralization. In addition, one of the most important issues is the security problem. All smart contracts based on Ethereum are written using the programming language Solidity, which has a number of shortcomings. Initially, Solidity was created so that a large number of people could quickly learn it, and not that you could write secure smart contracts on it. To ensure the security of each smart contract, you have to use linters and fixes, and coding convenience (the language Script is not Turing-complete) leaves much to be desired for. The hacking of wallets from the ambitious project DAO ($50 million was stolen), vulnerability of the Parity wallet ($30 million was stolen), the hacking of one of the largest wallets MyEtherWallet – showed the instability of Ethereum and forced the community seriously think about switching to a new, more progressive and safe Viper programming language. Vitalik Buterin, nevertheless, is determined: he announced the introduction of Plasma Cash, Casper, sharding and the transition to Viper, but in practice, users will be able to benefit from these changes not earlier than 2019-2020. Experts tend to believe that the Ethereum network will play an important role of an interim solution, and the utility of the cryptocurrency will go down in the air after the spread of smart contracts that are not tied to tokens. Further development of blockchain technology behind third generation networks, which have dealt with the problems that Ethereum could not solve, because of its pursuit of scaling. Among the contenders for digital dominance are term building EOS, Chinese NEO and global Universa, however among the leaders at any moment there can appear a digital noname, which will appear out of nowhere and will be able to satisfy all of the crypto world. Crypto-anarchism is no longer in fashion, successful blockchain startups work with what is, solving problems of the real sector of the economy. So, the Universa network is breaking big tasks into smaller pieces, having decided to make “friends” with all of the countries in the world, having already received support at the state level in Kazakhstan, Russia, Liechtenstein and Malaysia. 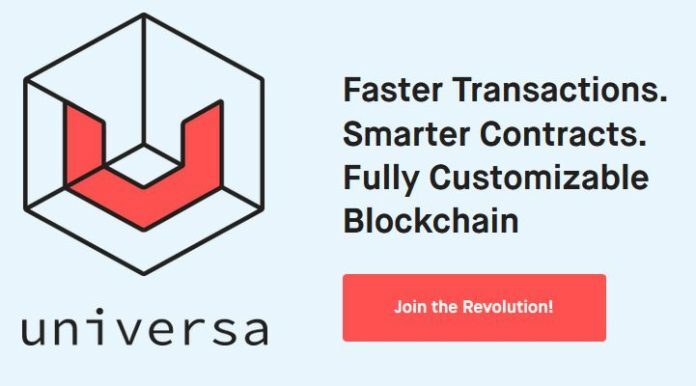 Universa has already surpassed Ethereum with its network capability of more than 20,000 transactions per second comparing to 15 per second for Ethereum, introducing the notary cloud technology. Work is underway to introduce Universa into the ecosystem of carsharing, driverless transport, digital history of aviation and auto parts, smart money and tax tools. The future of the Ethereum project as a “world computer” is questionable. Nevertheless, the contribution of this network to the development of infrastructure blockchain turned out to be huge. Users have already felt what it’s like to be a “self bank” and appreciated the prospects for full control over digital history of things, thanks to the technology of blockchain. In the future, Google, Facebook, Amazon and other transnational corporations will join the world of blockchain, which will allow the technology to transcend as just a hobby for geeks, as everything will be easier, faster to understand, more affordable and safer.